This was a typical bathroom remodel where all major areas were addressed: vanity, shower, light, fan, floor covering, etc. 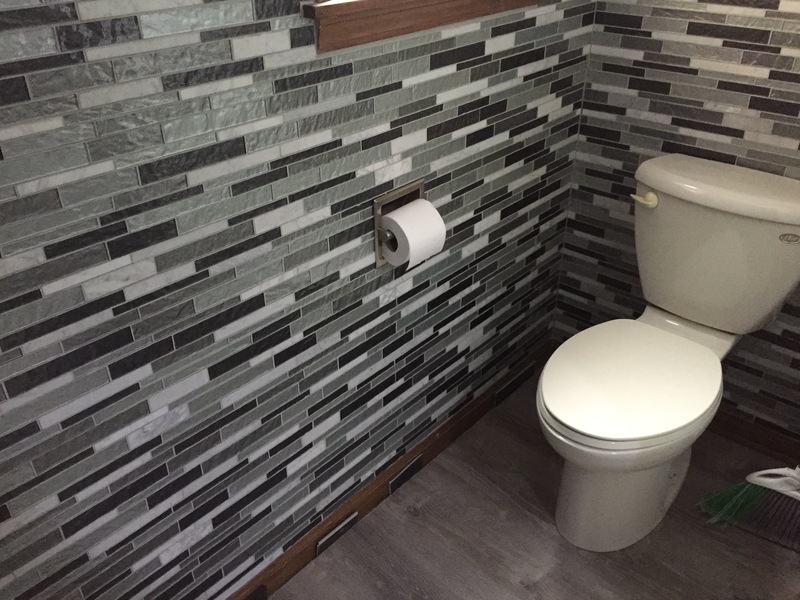 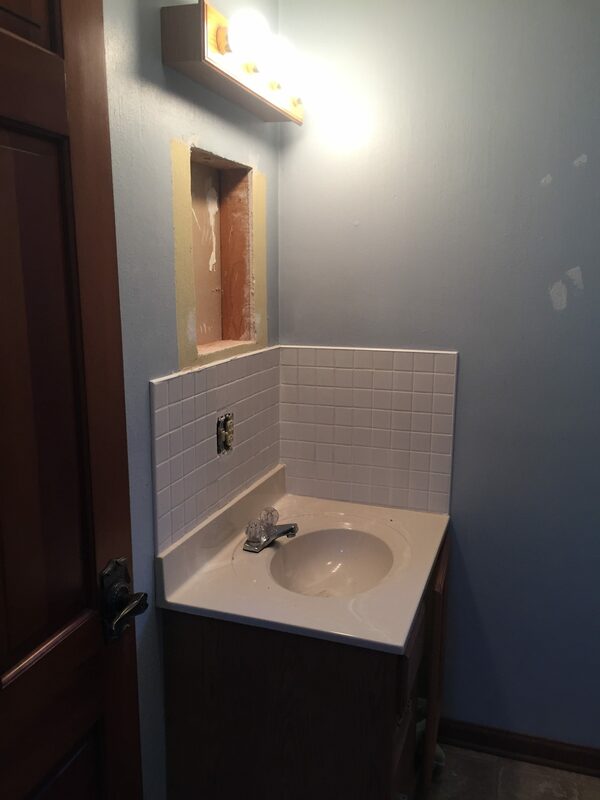 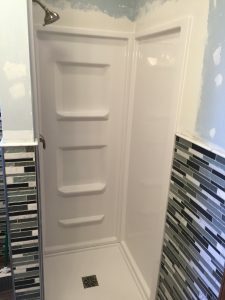 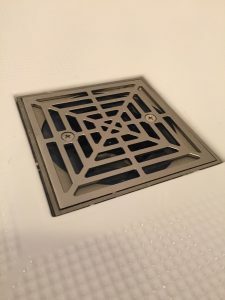 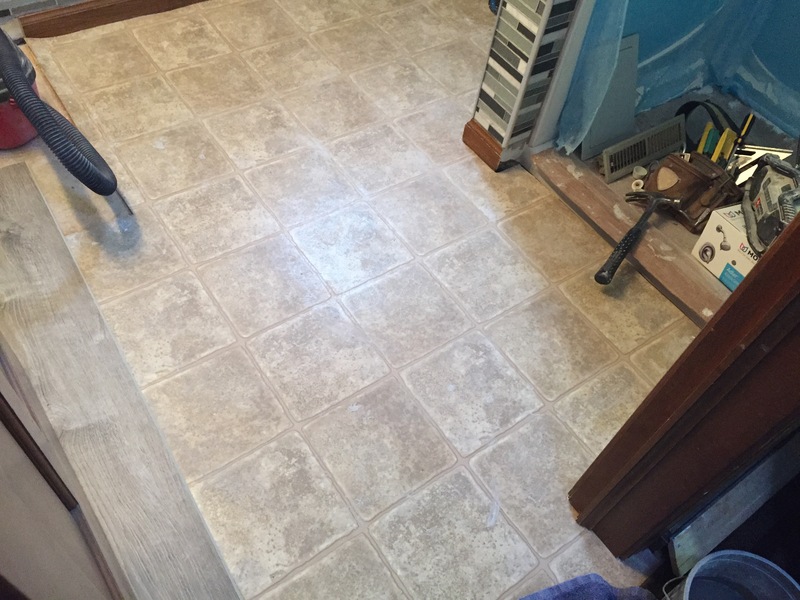 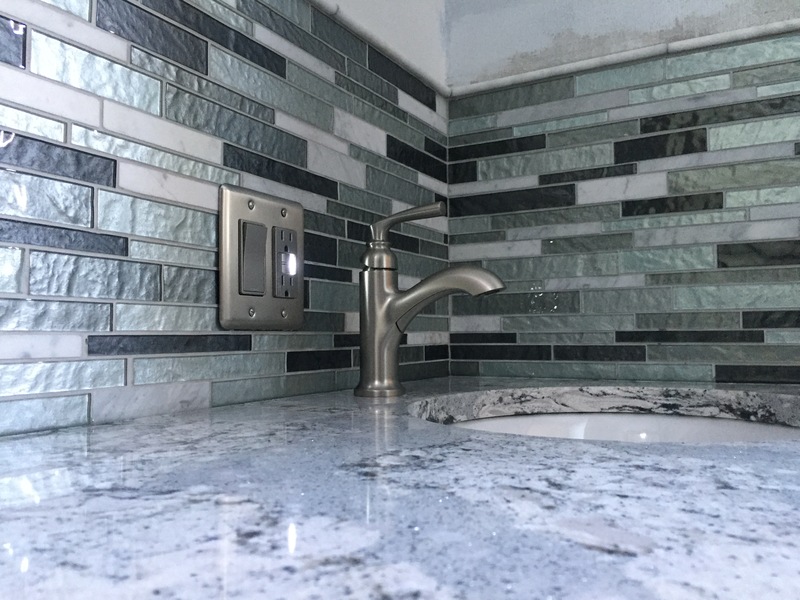 The addition to the typical was a nice glass tile mosaic (Silver by Mohawk) with a marble ledge trim all around the bathroom at about 48″ height. 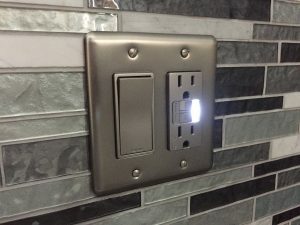 In doing tile wainscot or backsplash, I always offer to replace the electrical switches/receptacles to help maintain the new look – I do this free of charge if the homeowner picks up the new equipment. 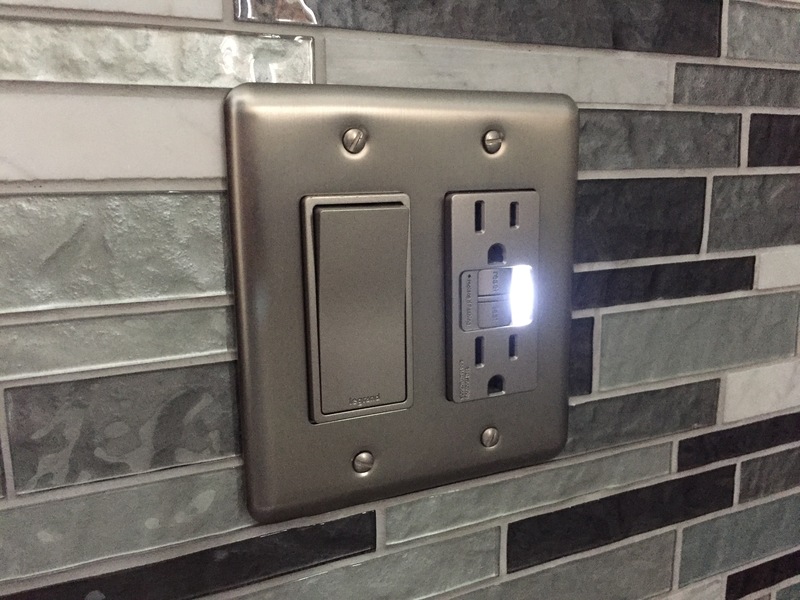 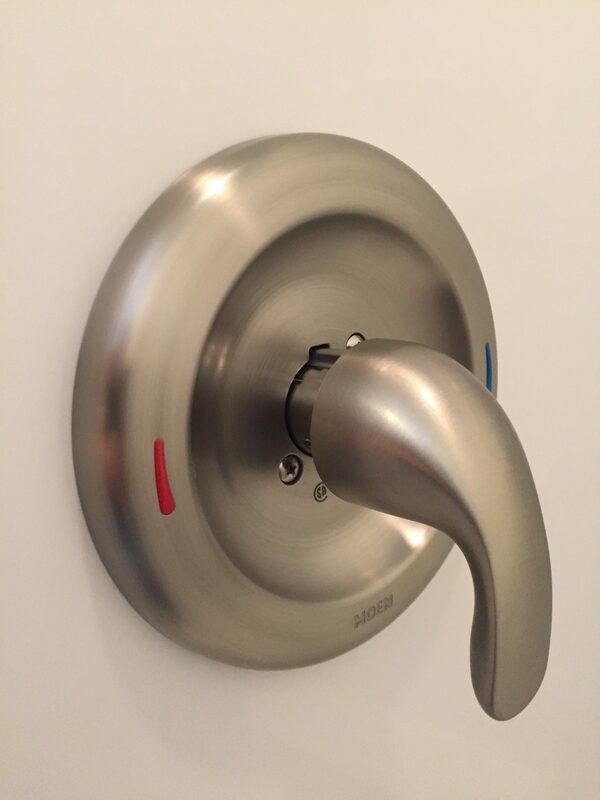 This particular model is GFCI protected and features a nifty LED night light – sweet! 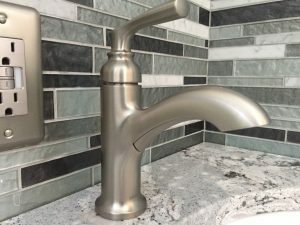 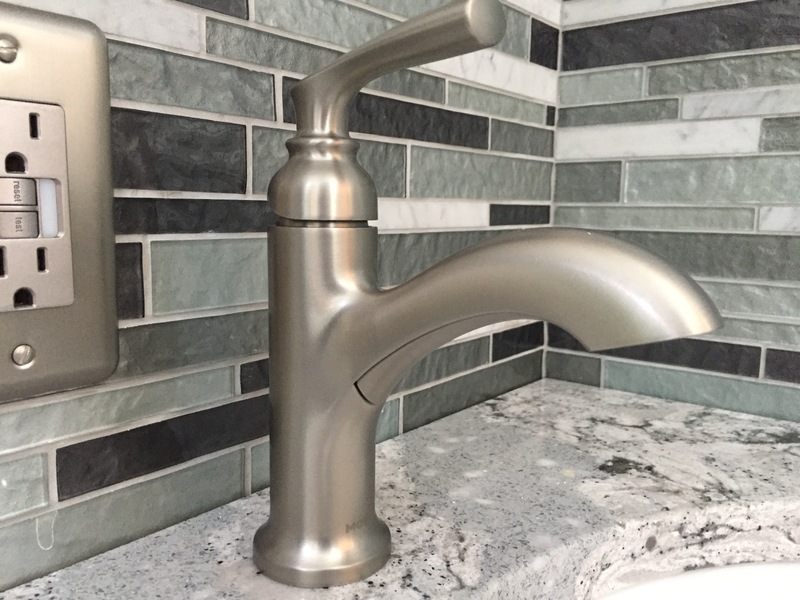 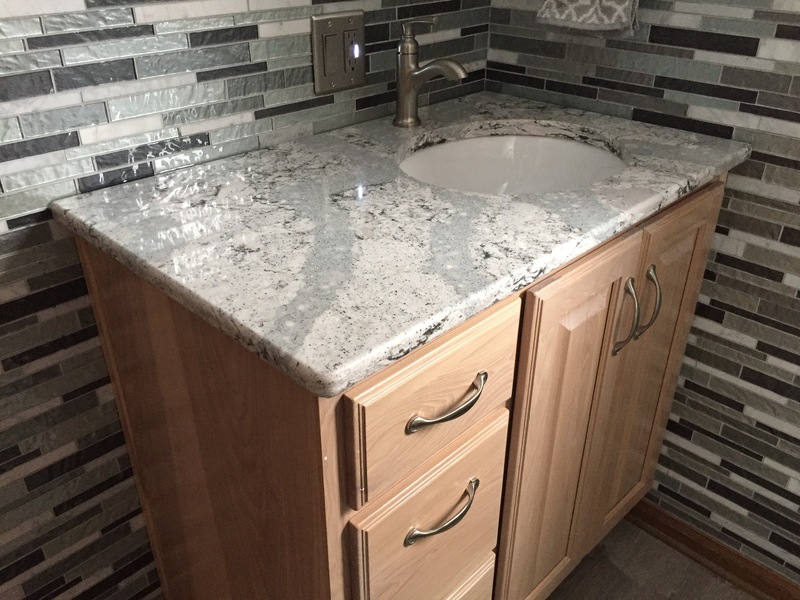 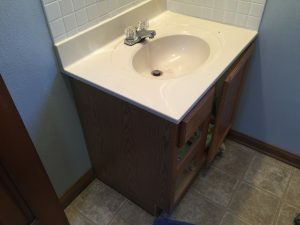 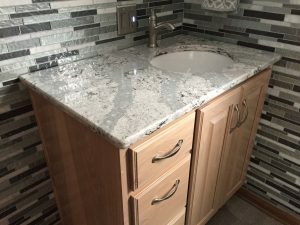 Vanity and granite top were provided by Battershell Cabinets – faucet is a high-quality nickel Moen Hilliard (lifetime warranty). Keep in mind, my price includes all new quarter-turn shut-off valves, stainless braided supply lines, and new traps. Shower unit is by Lyons – high-gloss acrylic surface for ease of cleaning, with a reinforced fiberglass backing. 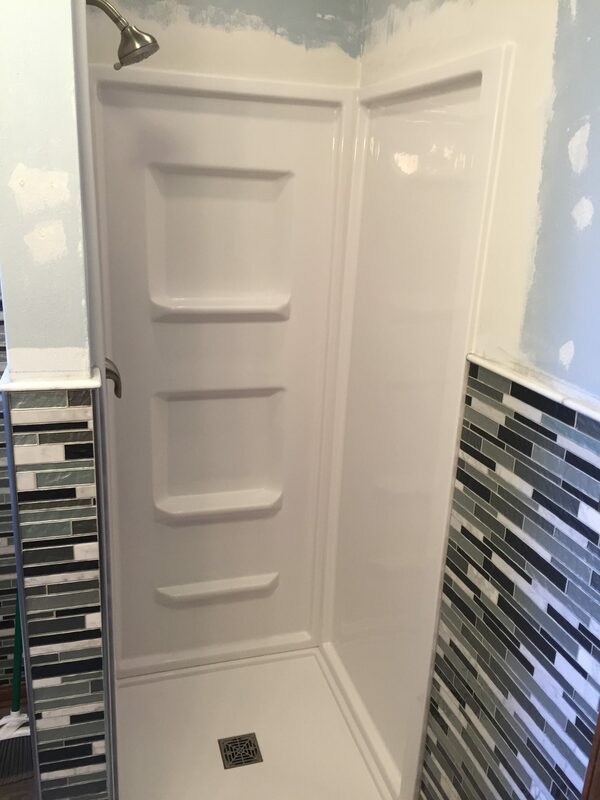 The door is a Sterling Finesse frameless model with CleanCoat technology (to lessen the effect of water spots). 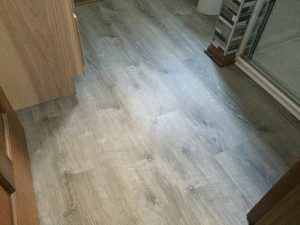 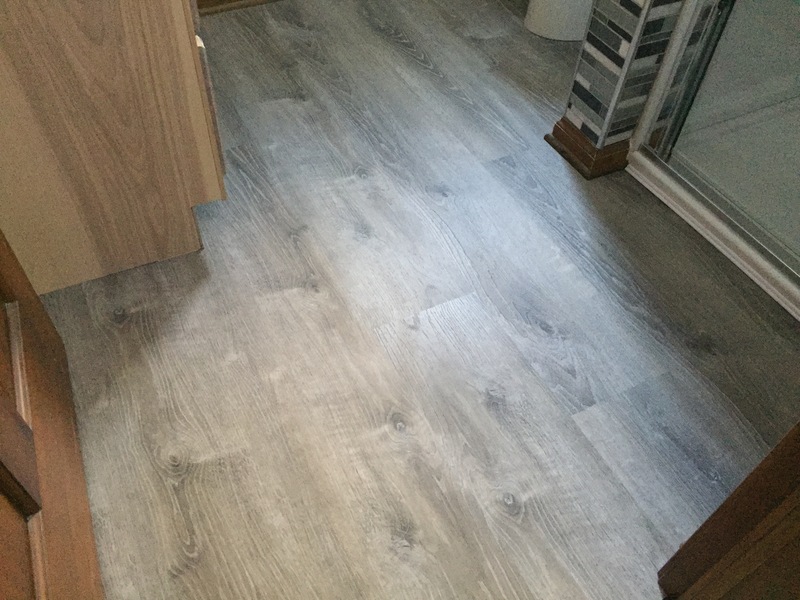 The floor covering is a high quality luxury vinyl plank flooring that is completely waterproof and is thick enough to slide right over any minor sub floor imperfections. A floating mirror was installed along with a new nickel light fixture (moved slightly left to be centered over the larger vanity). 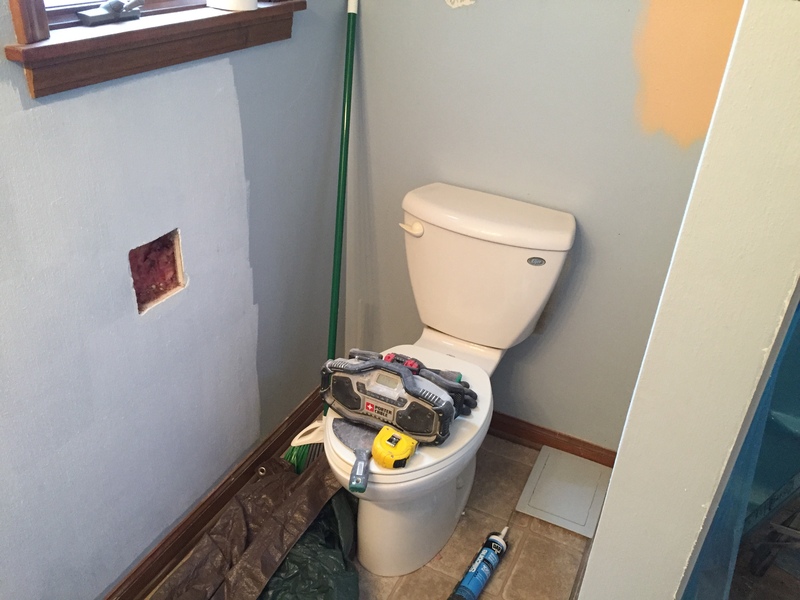 In addition, the bathroom exhaust fan was replaced with a high-powered 110 CFM Broan unit that is properly vented outside the building. 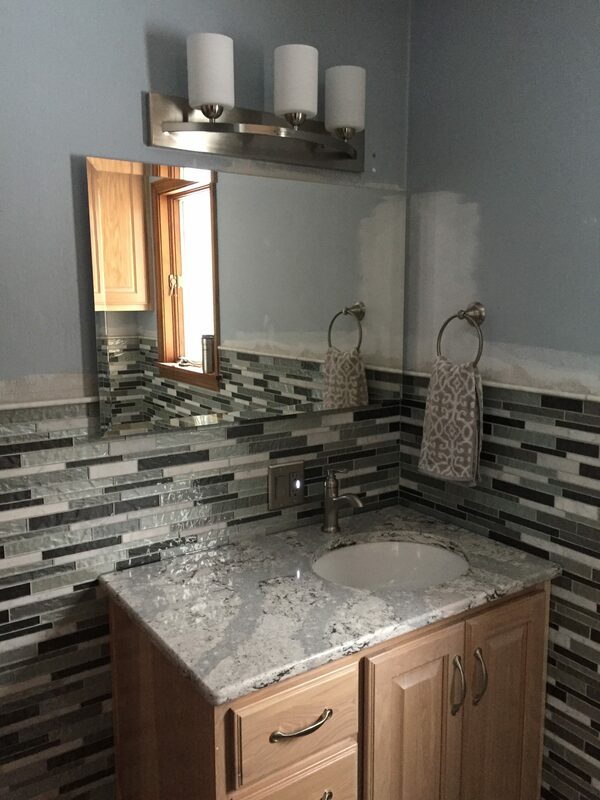 I specialize in making a homeowner’s visions into a reality, and I think this homeowner is very pleased. 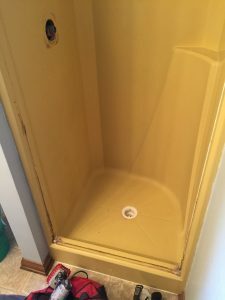 What can I do to help your bathroom? As always, I offer FREE ESTIMATES: 419-212-3200.